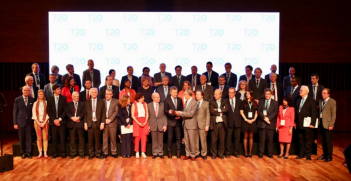 The fourth Women 20 (W20) summit was held in Buenos Aires on 1-3 October 2018 as part of Argentina’s G20 Presidency. It follows those held in Istanbul in 2015, Xi’an in 2016 and Berlin in 2017. 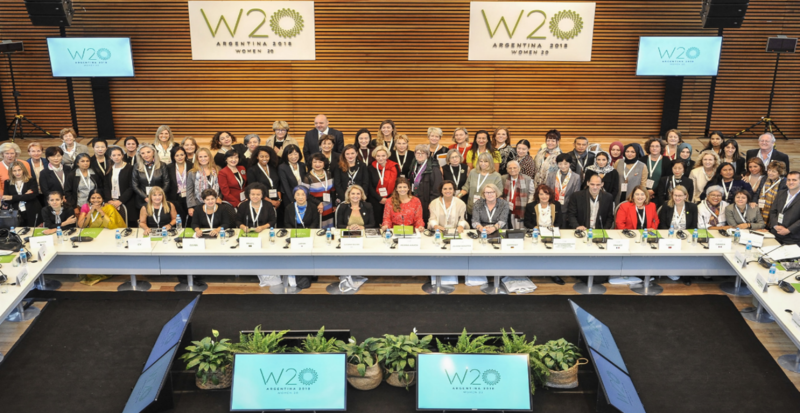 The W20 is a transnational network that brings together female leaders from civil society, business, entrepreneurship and think tanks. Its main goal is to influence the agenda of the decision-making bodies of the G20, with a view to impacting public policies in order to increase women’s participation in the economies and societies of their countries. This year’s venue was the Cultural Centre Kirchner, an impressive example of early twentieth century architecture in the European style which still gives Buenos Aires an air of grandeur. This year’s gathering was very different to last year’s Berlin summit, which received far more publicity than other years. The fact that Germany had a female president, Angela Merkel, who was committed to the cause of empowering women meant that it was always going to be a high-powered gathering. Merkel had visited Washington a few months before where she had met Ivanka Trump and invited her to Berlin. When the moderator of a session asked Ms Trump about her father’s attitude to women, it was reported around the world that the audience had booed. This was an exaggeration, but it brought the W20 to everyone’s attention. Other important guests in Berlin included the head of the International Monetary Fund, Christine Lagarde, and the Foreign Minister of Canada, Chrystia Freeland. This year, there were no high-flyers involved in the public sessions, although the very impressive Queen Maxima of the Netherlands, who had also been one of the special guests in Berlin, gave an address via video link from The Hague. Queen Maxima, who was born in Argentina, is the United Nations Secretary-General’s Special Advocate for Inclusive Finance for Development (UNSGSA). Her role is to raise awareness of inclusive financial systems for achieving economic and development goals. On the first day of the conference, over 60 delegates from the G20 were welcomed by Susana Balbo, the Chair of W20 Argentina, and the first lady of Argentina, Juliana Awada. We then met behind closed doors to discuss the Communiqué to be presented to the President of Argentina, Maricio Macri, with recommendations to be passed on to G20 heads of states at their meeting in November. Discussions amongst the delegates over the previous nine months had centred on four main areas: labour force inclusion, financial inclusion, digital inclusion and the development of rural women. The first three topics were similar to those discussed in Berlin, but the fourth was new due to its importance in Latin America. The two-page Communiqué is accompanied by a 21-page Menu of Actions containing further recommendations. The conclusion calls for the G20 to “support gender budgeting and together with international partner organisations and relevant national partners develop statistical systems based on indicators that are gender disaggregated and consider women in all their diversity.” This reflected a strong feeling amongst the delegates that the time has now come for the W20 to move beyond stating and repeating goals from previous years. If it is to remain relevant, it must put into place systems that can actually measure the outcomes resulting from government actions. Australia is leading the way with the passing in 2012 of the Workplace Gender Equality Act and the subsequent establishment of the Workplace Gender Equality Agency. This agency not only collects data from all non-public businesses with 100 or more employees, but also analyses the data. The W20 was originally formed as a result of the commitment made at the G20 summit in Brisbane in 2014 to reduce the gender gap in labour force participation by 25 per cent by 2025. For Australia, this means reducing the gap from 12.1 per cent to 9.1 per cent. At present, we are on track to achieve this goal, but an additional 200,000 women will need to enter the workforce. 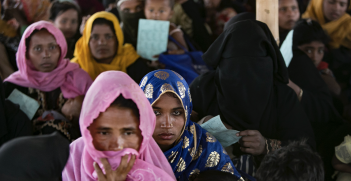 One of the recommendations contained in the Communique was the need to “Invest public funds to ensure affordable, quality and professionalized universal care services for people with dependents, including those in the informal sector.” This should benefit both women and men, but women are most often still the primary carers which prevents them from gaining employment or even pursuing education. After the first day of closed-door sessions for delegates, we moved for the next two days to a much larger theatre where up to 1,000 people attended the public sessions. Some felt that there should have been more men in the audience, but another view is that the first step is to inspire women who can then spread the word to the world in general. In fact the sole French delegate this year was a man. One can’t help posing the question, what does a meeting like this mean for women in Australia and the rest of the world? There is great diversity amongst the G20 countries, so it is hard to prescribe solutions for these countries let alone the wider world. But there is no doubt that there was a lot of goodwill amongst delegates and attendees to empower women economically. If more women are employed or become entrepreneurs, this would be a catalyst for higher economic growth, which will benefit not only women. The fact is that it is still necessary to have the W20 and other meetings to empower women. There is no impetus to have similar meetings for men. We should all be striving for a future when there is gender equality and there are no more glass ceilings to be smashed. Japan will take over the G20 Presidency on 1 December, and the next W20 will take place in Tokyo on 23-24 March 2019. Zara Kimpton OAM is National Vice President of the Australian Institute of International Affairs and the Leader of the Australian Delegation to W20 Argentina. 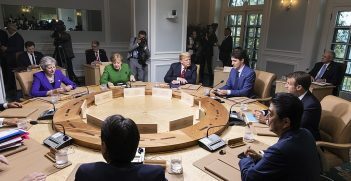 Canada’s G7 presidency might not have made “gender inequality history,” but the Charlevoix summit may still very well be remembered as a milestone for women and girls worldwide.